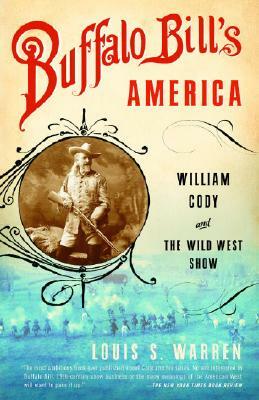 William F. “Buffalo Bill” Cody was the most famous American of his age. He claimed to have worked for the Pony Express when only a boy and to have scouted for General George Custer. But what was his real story? And how did a frontiersman become a worldwide celebrity? In this prize-winning biography, acclaimed author Louis S. Warren explains not only how Cody exaggerated his real experience as an army scout and buffalo hunter, but also how that experience inspired him to create the gigantic, traveling spectacle known as Buffalo Bill’s Wild West Show. A dazzling mix of Indians, cowboys, and vaqueros, they performed on two continents for three decades, offering a surprisingly modern view of the United States and a remarkably democratic version of its history. This definitive biography reveals the genius of America’s greatest showman, and the startling history of the American West that drove him and his performers to the world stage. Louis S. Warren took his B.A. at Columbia University and his M.A., M.Phil. and Ph.D. at Yale University. He has taught at Yale, University of San Diego, and, since 1999, at the University of California, Davis, where he is currently Associate Professor of History. He is the author of The Hunter's Game: Poachers and Conservationists in Twentieth-Century America (1997), which won the 1997 Western Heritage Award for Outstanding Non-Fiction Book, and several articles. His article on "Cody's Last Stand" in the Western Historical Quarterly won the Oscar O. Winther Award for best article (2003).